Friday’s meeting of the Montana Wolf Management Advisory Council leaves me even more concerned about the fate of the grey wolf in the west. The original council, consisting of a dozen individuals, were instrumental in developing Montana’s wolf management plan back in 2000. They met again in 2007. Called in by Governor Bullock and Fish, Wildlife and Parks (FWP) Director Jeff Hagener, ten members gathered Friday with FWP officials to discuss how well the wolf plan has been carried out. For a group that is called a “citizens council” the Wolf Council seems to lean heavily on the side of livestock production and hunting. For example, the chairman of the group is Chase Hibbard of Billings, an avid hunter, outfitter, and a rancher. Another rancher and former Republican Representative, Bruce Malcom, went so far as to suggest a bounty to limit wolf populations. I had hoped that word would never come up again in regards to wolves. There were some positives that emerged from Friday’s meeting. Biologist Mike Jiminez of the USFWS gave an insightful discourse on the status of wolves before and after delisting. And Wolves of the Rockies Marc Cooke had a seat at the Wolf Council table, a huge step toward a more just and hopeful future for wolves . With Marc’s permission I am sharing with you their review of the meeting. Don’t miss reading Kim Bean’s blog post as well. It can be found on the WotR website. To protect & defend wolves of the Rocky Mountains. Gathering wolf advocates around the world to consolidate our voices into a force that will influence the protection and acceptance of wolves in the Rocky Mountain Region. On April 12th, 2013 in Helena, Montana at MFWP Headquarters, the Wolf Advisory Council reconvened at the request of Governor Steve Bullock. Wolves of the Rockies had a seat at the table, and we discussed one topic with many components. Governor Bullock opened with a short statement about the importance of the Wolf Advisory Council. Ken McDonald and George Pauley went over many of the wolf plan management components. They are concerned about new laws coming from the current Montana Legislative session. Right now in Montana there are approximately 50 collared wolves. Research is critical in helping the decision makers in making informed science based decisions. Humans have the greatest impact on elk herd sizes. There was great concern over the entire Yellowstone National Park wolf situation. Wolves of the Rockies shared their concerns about Yellowstone wolves, and their value to the economy of local residents and businesses in Gardiner, and areas along the border of YNP. We emphasized research from the Yellowstone Wolf Program is priceless. Several members of the audience participated by reaffirming the importance of Yellowstone wolves. Getting back to the council members, several encouraged the decision makers not to treat Yellowstone wolves any different than other wolves in Montana, as it would set a precedent that could snowball in the future. Other council members said Yellowstone wolves are indeed different. They have a research and economic value for the local people as well as FWP and hunters alike. Furthermore there should be no cap on the amount of wolves in Montana. This could only lead to further concern down the road. The wolves should be treated like any other predator here in Montana: no caps. It is hoped that house bills 73, which was signed by the governor in February, will give additional tools to help manage wolves, we need to be cautious of future legislation that will have an impact on wolf management. If wolf numbers drop to 200/250, this will trigger a revue with the Federal Government. Cause for concern with FWP is funding. 2015 will be the last year the federal government will provide FWP funding for the wolf program ie., depredation loss compensation et al. Montana is very concerned about where this funding will come from starting in 2016. Caroline Sime, the former Wolf Management Coordinator for MT FWP, was asked to attend but declined. Toward the end of the meeting the Chairman of the advisory council, Chase Hibbard, conducted a round-table discussion; where do we go from here? We need to improve social tolerance and the use of non-lethal measures. Several members suggested allowing things in Montana to evolve naturally. Many members believe the wolf management plan is balanced but are concerned with the increase in extreme attitudes toward wolves. Some members believe that with new science the plan needs to be “tweaked” because of too many wolves in Montana. One member suggested we let wolves find their own place on the landscape, and that we should manage by location not by population. We need to let the public in on these plans and some advisory members believe that hunters and sportsmen have to give some. The Blackfeet reservation plan is working well. Some believe there is still a role for the Wolf Advisory Council or something similar. Consensus was that the plan is going well but more aggressive outreach is needed. We are moving from the recovery mode to the management mode and we need more public involvement, was not comfortable to having to do this but believe it to be essential. One member would like to have a bounty on wolves in the future, as people will lose the incentive to hunt them. We need to be very careful on the boundary around Yellowstone National Park. This would increase (in the eyes of some members) the boundary of the park. It should be considered to alter or combine some of hunting districts to accommodate various needs. This was a response that was directed towards YNP. L to R: Marc Cooke, Vice President Kim Bean WotR and Ilona Popper from The Bear Creek Council discussing wolf advisory issues at a break. Wolves of the Rockies will continue to work with hunters, livestock owners/managers, and all other parties to increase public acceptance of wolves on the landscape. Please support on Facebook Wolves of the Rockies. 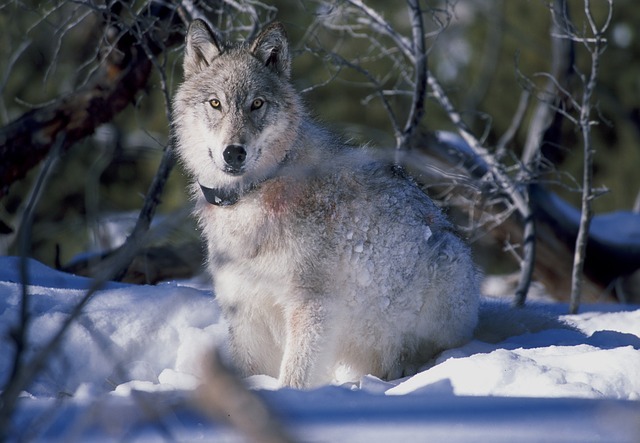 This entry was posted in Montana Wolves, trapping, Uncategorized, Wolves and tagged grey wolf, Kim Bean, Lorenza Cooke, Marc Cooke, Montana wolves, National Wolfwatcher Coalition, Wolfwatcher, Wolves of the Rockies. Bookmark the permalink. Thanks again, Beckie! Great synopsis of the events on Friday in MT. Over 100 years later, still not enough progress in the minds of some Montana ranchers and hunters. Beckie I wholeheartedly agree with you on this: the word “bounty” and “wolf” was something I had hoped never, ever to hear in the same breath. After all this is the 21st Century, although some clearing haven’t made it past 1885. Yes, clearly what is needed is a current Wolf Council with less hunters and livestock growers, and more advocates, biologists and scientists working together. “Conservation groups”, and I say that “tongue in cheek”, need to wake the hell up and assess just how well “collaboration and consensus” is working. I remember not more than a year ago how they screamed and fought against hunting as a management tool…now, some of them accept it (and accept trapping so long as snares aren’t used) despite the fact that research suggests that hunting and trapping exacerbates the problem by disrupting wolf families……….and, there appears to be little or no benefit from collaborating with ranchers. Any benefit accrues to the ranchers because the status quo preservation of the livestock oligarchy remains in effect…..so, until the stranglehold the livestock industry, the NRA, RMEF etc has on wildlife agencies and politicians is broken, it will be a long time before we see science based wolf management. Accept as in hunting is going to happen…stopping MT from hunting anything would be the usual banging heads against a brick wall. NOTHING will stop Montanans from hunting, but that doesn’t mean it can’t be made harder to do. It also doesn’t mean that they will kill as many wolves as they want to, in ways they want to. Hunting orgs have spoken out against snaring, unlimited quotas, pointed out that wolves are not what is perceived as killing off the elk in the Bitterroot. So I guess we shouldn’t have been invited by the governor and let hunters and ranchers ONLY have input regarding wolves. NO, thank you. And how are you helping by criticizing other advocates? You’re not. Please show me where that has done anything positive, in MT or WA. Or anywhere else. I agree with you, Beckie. And thanks again for this article. Thanks for your comments, Kristi, Rhonda, and Jerry. This is a challenging time in the wolf wars. I don’t believe anyone has all the answers as to how to best protect wolves right now. My hope is that we can stick together, build our forces, and break through the walls of resistance that we face. I’m still waiting for someone to produce ANY peer reviewed scientific study that concludes that hunting and trapping is a sucessful way to “manage” wolves. Does such a study exist? I highly doubt there is such a study but if you have any ideas how to stop hunting in MT or ID or WY I and many other people would be all ears. They are NEVER going to stop hunting wolves until they get down to the “magic” numbers to trigger a status review or until a successful lawsuit intervenes as in WY. Should no one try to stand in their way and make it easier to kill them?